Our customers appreciate our services and rely on us to help them get rid of their old cars and trucks. They do so for several reasons. One reason is that we don’t require you to pay for towing, a service that most other companies will either charge you for outright or, if they don’t, they simply deduct the charge from the price they offer to pay for your old vehicle. We don’t do that. We know that your old junk car has monetary value. Vehicles that don’t even start, or that don’t run at all, are valuable because they can be used for parts. Old cars that have been damaged by fire and / or water still have value, too. We are the most convenient junk car removal company in North Miami, FL, and that is why people are always turning to us. We Buy Junk Cars For Cash North Miami In short, when you come to us, you get free towing, you have the satisfaction of knowing you are helping to keep the environment healthy, because your junk car will be recycled – and you will finally be able to use all the space you have at home. All you have to do is give us the details about your vehicle (make, model, year and condition), and we’ll be all set to help you. Want to get cash for an old junk car in North Miami? Call us now. We pay cash for all kinds of vehicles – SUVs, vans, trucks and even limousines; we buy any old junk car! We don’t take advantage of our customers. 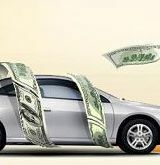 We offer you a fair price, the amount your car is worth. Of course, you can always try to sell your junk car on Craigslist, but you’ll have to deal with buyers who will haggle to get you to sell your car for almost nothing. Save yourself the time and effort and call us for free junk car towing and removal in North Miami, FL.